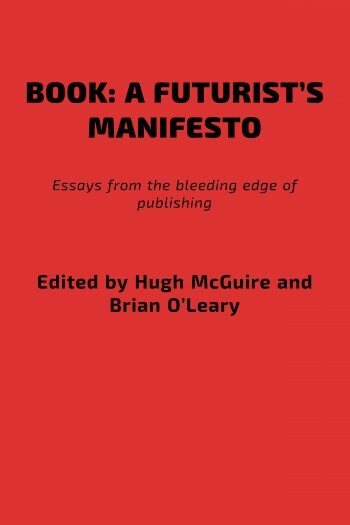 Book: A Futurist's Manifesto – Essays from the bleeding edge of publishing. Book Description: We have moved from maybe-e to definitely-e in the publishing world. This book is a handbook of kinds, giving a front-line view of where we are and where we are going in publishing. Read it online, buy it, or sign up to our mailing list. The ground beneath the book publishing industry dramatically shifted in 2007, the year the Kindle and the iPhone debuted. Widespread consumer demand for these and other devices has brought the pace of digital change in book publishing from “it might happen sometime” to “it’s happening right now”—and it is happening faster than anyone predicted. Yet this is only a transitional phase. “Book: A Futurist’s Manifesto” is your guide to what comes next, when all books are truly digital, connected and ubiquitous. * Learn how some digital books can evolve moment to moment, based on reader feedback. With “Book: A Futurist’s Manifesto,” we at O’Reilly Media are actively practicing what we preach. Written and edited on PressBooks.com, a new web-based book-production system, this book also invites reader feedback throughout its development. Sign up to our mailing list to hear when the complete book (parts 1, 2 and 3) is available.